In the forefront of missionary activity out of Africa, Enoch Adeboye has achieved, through various global Christian ministries and social organs, a great following for Christ Jesus. He sees the local church as one of the focal points of Christian discipleship, and thus plans to have an RCCG branch 5 minutes from every home in the world. In furtherance of this goal, he oversees a network of over 40,000 parish-churches in 186 nations of the world. In the United States, there are over 600 several RCCG branches, the largest concentrations being in the states of Maryland, Texas, Illinois, California, and Washington D.C. Formerly a mathematics professor at the University of Lagos, Nigeria, he started working with the founder of RCCG by translating his sermons from Yoruba to the English language. The leadership mantle fell on Pastor Enoch Adeboye in 1981, and since then, RCCG has experienced phenomenal growth and success, converting multitudes to Christ. In recognition of his contribution as a global icon and preacher of God’s Word, he was selected in 2008 as one of the world’s 50 most influential people by Newsweek magazine, USA. Born on March 2, 1942 into a humble family in the village of Ifewara, Osun State, located in the South-Western part of Nigeria. His poor family background seemed at first glance capable of confining him to a life of lack. Brilliant, calm and reticent, his early teachers had little doubt that the lad had a scholarly aura and was cut for academia. The bruising truth was that Enoch’s tall ambition to pursue a career in academia was irreconcilable with the abject poverty of his family. Not to be deterred, his parents sold a few cherished possessions and borrowed from kind neighbors just to ensure that their son’s dream was not held back. In 1956, he was admitted into one of Nigeria’s foremost Secondary Schools, Ilesha Grammar School, Osun State. As a youth he discovered a passion for books, and an aptitude for science, and in particular, mathematics. This led him to pursue higher education in the same field. He obtained a Bachelors degree in Mathematics from the University of Ife, Nigeria in 1967, a Masters degree in Hydrodynamics from the University of Lagos, Nigeria in 1969, and a Doctorate Degree in Applied Mathematics from the same university in 1975. He had planned to become the youngest University President in Africa. It did seem that this ambition would be realized as his academic career flourished. However, little did he know that a greater career awaited him in the service of the LORD. In 1967, he got married to his beloved wife, Foluke Adenike Adeboye (nee Adeyokunnu). In an experience that could be described as his wake up call, his daughter became ill in 1973, and proved unresponsive to several bouts of orthodox medicine. A cousin had invited him and his wife to a parish of RCCG to seek divine healing for their daughter. What the mathematics professor and his adorable wife could not have imagined, as they stepped out of their house that day was that they had begun to walk into God’s ultimate plan for their lives. 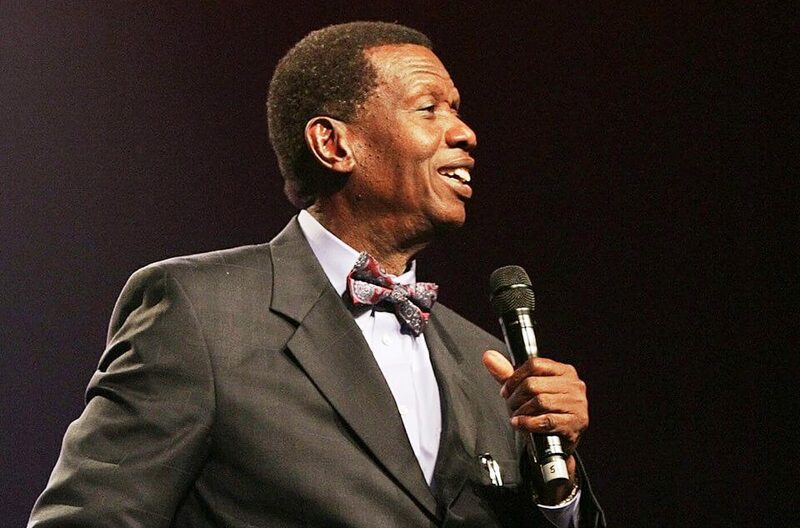 On July 29, 1973, Enoch Adeboye made a personal commitment to Christ through the ministry of Reverend Josiah Olufemi Akindayomi, the founder and first general overseer of The Redeemed Christian Church of God. Reverend Akindayomi was uneducated but was supernaturally endowed with the ability to read the Holy Bible in his native language. Ordained a Pastor in RCCG in 1977, Pastor Adeboye received a solid foundation in the scriptures, and unbeknownst to him, being groomed for the future assignment under the tutelage of Reverend Akindayomi. He manifested an incredible passion for the work of the Lord by pioneering Bible study meetings, crusades, revivals, outreaches and the evangelistic programs known as the Congress. These were very successfully conducted in various cities all over South-West Nigeria. In 1981, when the founder passed to glory, the baton of leadership was handed over to him by divine orchestration. His appointment as General Overseer immediately terminated his academic career, and as a result, he set his heart on taking RCCG to the next level of ministry, where all strata of society could be involved in the ministry without compromising the true worship of God. This led to the establishment of the “Model Parishes” through which countless millions in the upper echelons of the society have come to know the Lord. The poor, needy and downtrodden have not been ignored, as Enoch Adeboye has a deep compassion for souls. Soon after this came the Holy Ghost Services (HGS) in the mid-1980s. The HGS featured a night of praise, worship, prayer, soul-winning, deliverance, testimonies and the preaching of God’s Word once a month. Initially held on the premises of the ministry’s headquarters in Lagos, space constraints required a change in location. This led to the purchase of a massive piece of uninhabited forest land located in the suburbs of Ogun State, South West Nigeria. This piece of land is now known as The Redemption Camp. The HGS has been consistently held for over twenty years now and today, the crowd in attendance run in the millions every month. Enoch Adeboye was launched into international prominence on December 18, 1998, when he hosted the very first Holy Ghost Congress (open air meeting) in Lekki, Lagos, Nigeria with an attendance of over 7 million people as reported by CNN and the BBC. It constitutes the largest mobilization of people in one spot on the surface of the earth, a feat never before recorded. The following year, attendance at the Holy Ghost Congress (HGC) grew to 12 million worshippers. This program has since been replaced with the annual 3-Day HGC held every December at the Redemption Camp. Much like other programs in RCCG, the HGC has witnessed its transformations also. From a one night event in 1998 to a weeklong program today. At each and every one of these events, many souls are won for Christ, and the power of God moves freely to heal, anoint, and empower. His trademark of humility is disarming and endearing, enabling him to easily share his testimony of the Gospel. His passion for soul-winning feeds his passion for church-planting, and through this, countless people have been inspired to follow him and serve the Lord in the ministry. His appearance is straitlaced: he always wears a pinstriped suit, a gleaming white shirt and a bow tie. Enoch Adeboye and his ministry are known around the globe. He has preached in remote African villages and in the heart of major cities in United States and Europe. Since 1981, when he became the General Overseer of RCCG, he has been accorded the opportunity to conduct preaching missions in virtually every continents of the world. The monthly Holy Ghost Service (HGS) [open air meeting] in Nigeria with an average attendance of over 1 million people. The annual March 3-Day Special Holy Ghost Service (SHGS) [open air meeting] in Nigeria with an average attendance of over 6 million people. The annual December weeklong Holy Ghost Congress (HGC) [open air meeting] in Nigeria with an average attendance of over 12 million people. The quarterly Festival of Life [indoor revival meeting] in London, UK and various cities in the US with an average attendance of over 50,000 people in the (UK) and 10,000 in the (US) respectively. The annual RCCG Leadership and Discipleship Conferences and Retreats all over the world. Television programs are broadcast on a digital-cable channel called Open Heavens TV, Liveway TV and Satellite radio. Enoch Adeboye has written over 60 books. His daily devotional manual (Open Heavens), with over 1 million published annually, available in English, French and other major languages of the world is globally-distributed and widely-read. His life substantiates the scriptures in Zechariah 4: 10 (NLT) which states: Do not despise these small beginnings… His life and over 30 years of full-time ministry around the world is remarkable in every sense. From humble beginnings as the son of a peasant farmer in Nigeria to one of the most influential people in the world. Enoch Adeboye’s counsel has been sought by presidents, and his appeal in both the secular and religious arenas is evidenced by the wide range of groups that have honored him, including numerous honorary doctorates from many institutions in the Nigeria and abroad in appreciation of his contributions to humanity. 1999 – Received honorary citizenship and key of Cambridge, Massachusetts, USA. 2000 – Dedicated the first chapel in the Nigerian Presidential Villa, Abuja, Nigeria. 2002 – Received the key to the city of Detroit, Michigan. 2005 – Received honorary citizenship and key of Dallas, Texas, USA. 2005 – Received honorary citizenship and key of Baltimore, Maryland, United States. 2008 – Awarded a National Honor (Order of the Federal Republic of Nigeria) by the Nigerian President. 2009 – Led the Pre-Summit Prayers at the 64th General Assembly of the United Nations Headquarters, New York. 2009 – Named one of The World’s Fifty Most Powerful People by Newsweek Magazine (USA). 2009 – Awarded honorary doctorate degree – University of Lagos, Lagos, Nigeria. 2009 – Awarded honorary doctorate degree – University of Nigeria, Nsukka, Nigeria. 2009 – Awarded honorary doctorate degree in Theology – Canada Christian College, Canada. 2010 – Awarded a National Sports Honor (Spiritual Pillar of Nigerian Sports). 2011 – Chaired United Nations Global Summit on the Road Map to a Culture of Peace in the Middle East. 2011 – Awarded honorary doctorate degree – University of Ibadan, Ibadan, Nigeria. Though the above achievements are phenomenal, Enoch Adeboye never fails to give glory to God, claiming that there are greater things ahead that the Lord will yet do. Enoch Adeboye has been married to Foluke Adenike Adeboye for over 45 years. Together they have three sons and one daughter, and many grand and great grandchildren children. They reside at the Redemption Camp in the suburbs of Lagos, Nigeria.